Historic New England recently honored two collectors for their effort to preserve works on paper. 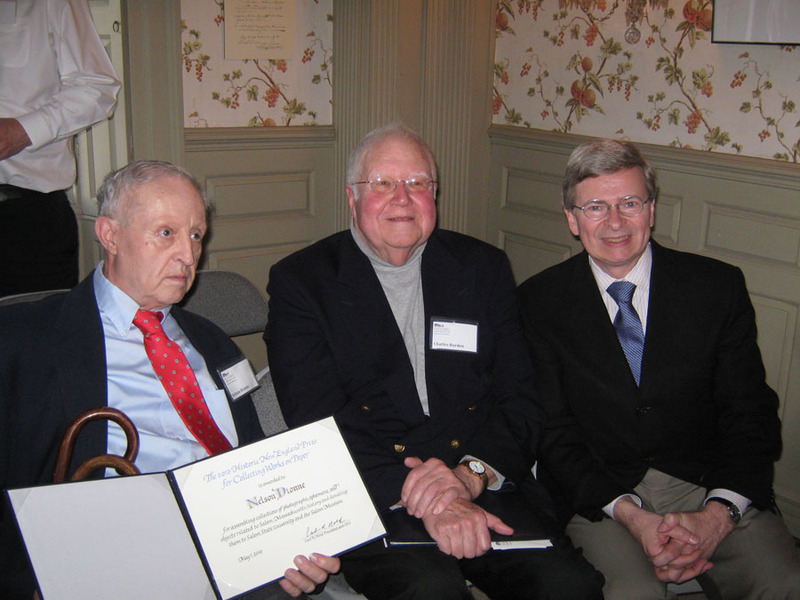 On May 1 an enthusiastic audience assembled at Governor John Langdon House in Portsmouth, New Hampshire, to celebrate Historic New England’s 2013 Prize for Collecting Works on Paper. The prize was awarded to Charles Burden, M.D., and Nelson Dionne, who have each assembled a significant collection of New England material that might otherwise have been lost. Both receipients spoke eloquently about the collections they preserved. Dr. Burden collects materials related to Maine maritime history and the temperance movement. He has donated items to the Maine Maritime Museum and Maine Historical Society. Nelson Dionne collects items related to the history of Salem, Mass. He will donate his collection to Gordon College’s new Salem Museum and Salem State University.